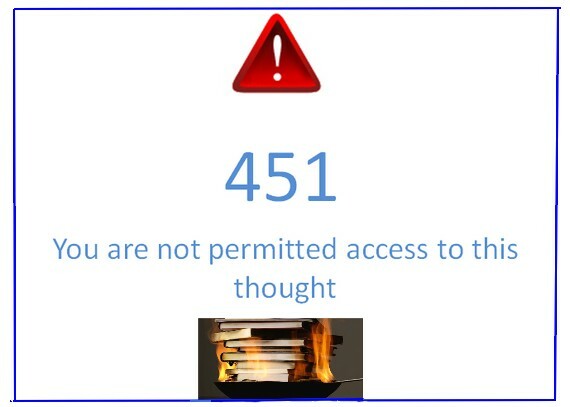 Error message Fahrenheit 451 for Censorship? The Guardian reports that a new internet error message may be created to indicate that a site has been censored. It has been suggested that it be called ‘451’ in honor of the late Ray Bradbury’s novel about book-burning, Fahrenheit 451.